Have you already planned where you are going to spend the winter holidays? If not, do not forget that we are always on point. We are having walking tours EVERY DAY – Christmas Eve, Christmas Day, New Year’s Eve and New Year’s Day are not an exception to the rule! We recommend you to book a room in a cozy and comfortable hotel or hostel and have a great time in the city! Plovdiv’s history and its mesmerizing beauty will surely captivate you and you will definitely wish to come and visit us once again! The city center together with the main street and the famous neighborhood The Trap (Kapana) are all worth visiting during this time of the year. We are posting photos from the tours on a daily basis and on a mouse click you could be able to reach them and contact us as well. 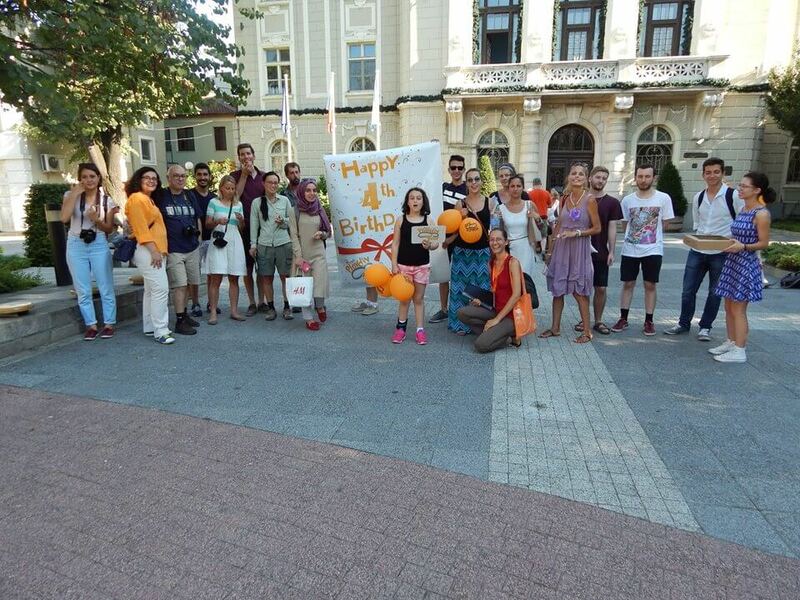 Free Plovdiv Tour wishes you Happy Holidays! It is slways the right time to join a walking tour!